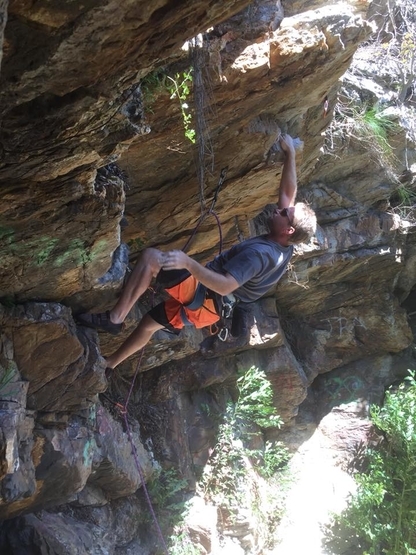 Tyson Baars (Masekane-Man) doing the 19 though the overhang. 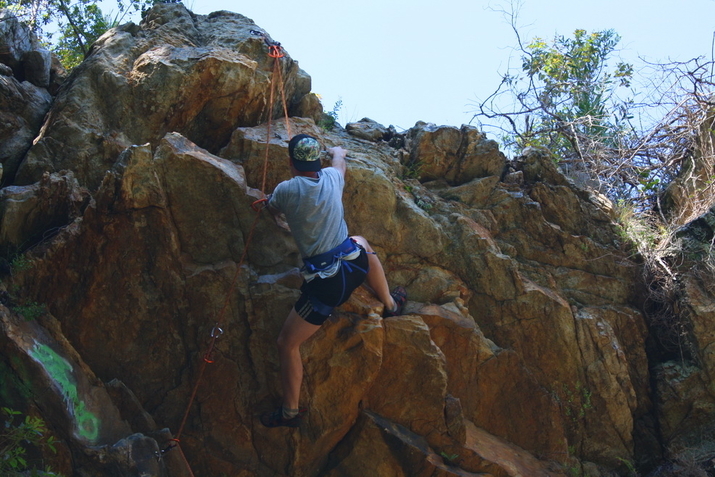 Unknown climber on Mufasa's Revenge (18). 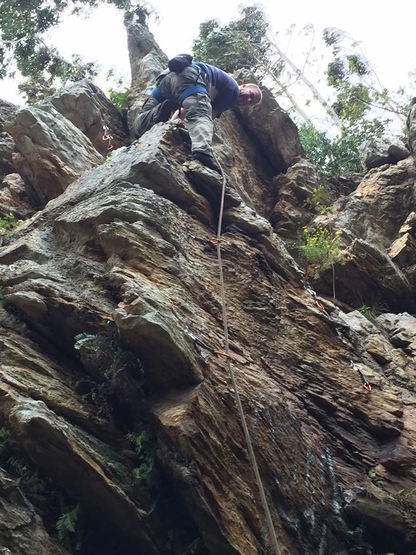 Learning the ropes at Masekane. 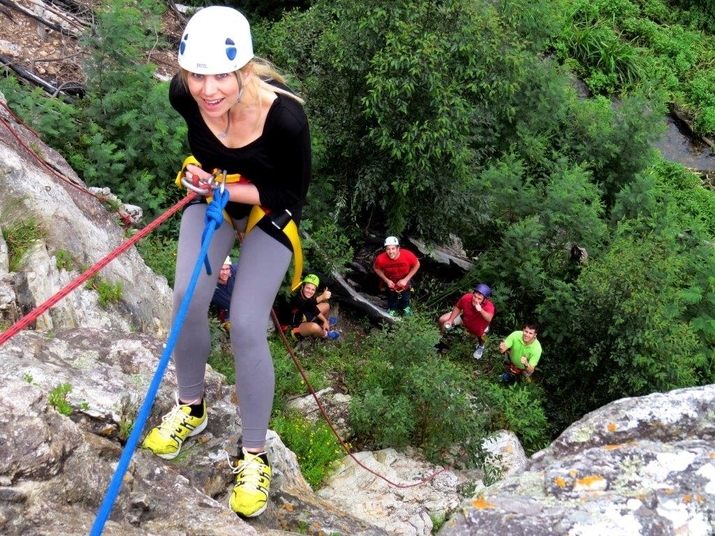 Beginner doing her first abseil at Masekane. 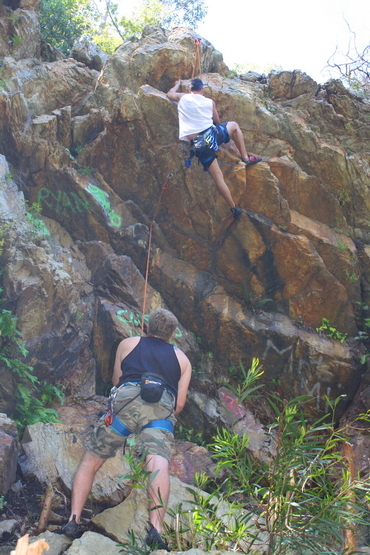 There has been rock climbing at Masekane, in the Baakens Valley near Sunridge, Port Elizibeth for generations. 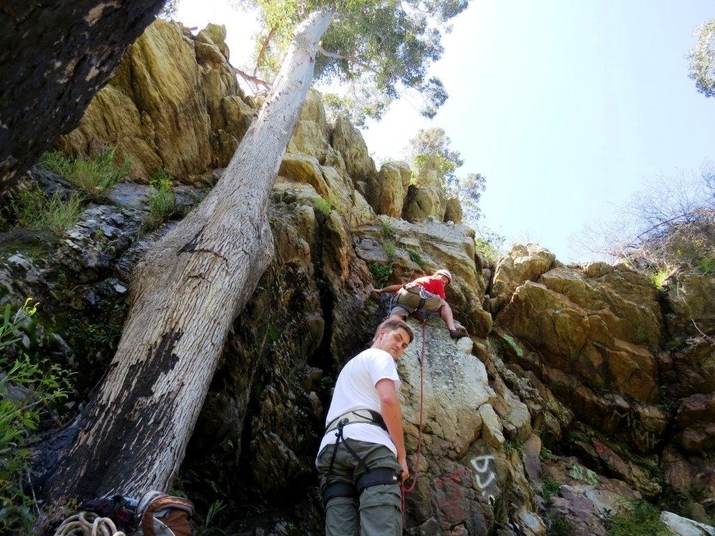 Rob Mac Geoghegan has used this crag to train abseiling, climbing & technical rescue rope work. 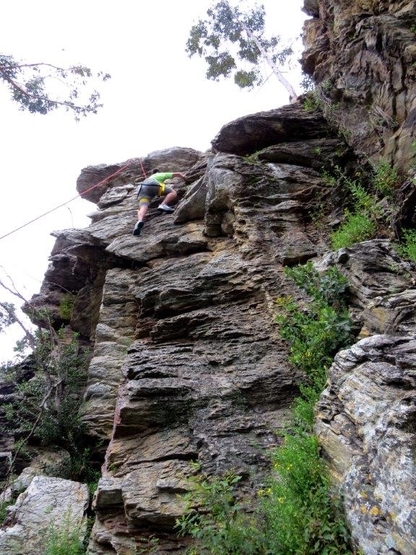 More people have climbed at Masekane than at any other crag in the Eastern Cape, crazy, isn't it! Sandstone quartzite. 20 short bolted routes and some bouldering. There is truly limited potential for more routes. Nelso Mandela Metro Municapality owns the land. No access restrictions.